"When asked 'why are you running?' I can say, without a doubt, three reasons: Crime, Drugs, and Jobs. Those are the three major problems we face in Southern West Virginia, and specifically Raleigh County. We are in the midst of a crisis in this State that is going to require us to respond in ways we have never responded before if we are going to ensure that our State is going to survive. The opioid crisis is so new to our society, that spellcheck functions do not even recognize the word "opioid." Opiates have hit our State like a hurricane, and have left as much devastation. 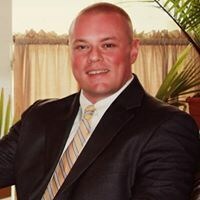 I am the only Candidate in this race that has personally confronted the opiate problem in our community as a Prosecuting Attorney in Raleigh County. As a Prosecutor, I have seen first hand the toll these substances take on our community. I have comforted the families of those that have lost their lives to overdose, I have held the hands of addicted Veterans as they seek to recover from a substance their doctor gave them, and I have convicted and sentenced countless drug dealers to prison. As your Delegate, I will seek funding for the State Police to combat the problem of interstate trafficking in narcotics. Heroin and Cocaine do not grow in West Virginia, it is transported in. Our law enforcement personnel, who put their lives on the line everyday, need 21st century tools to fight this problem. As well, I have seen first hand the struggles that faith-based rehabilitation programs have in securing funding to fight the addiction problem. These rehabs and homes struggle to receive funding from the State due to restrictions in funding faith-based organizations. I will seek to reduce those restrictions and help those organizations that are truly doing the Lord's work in rehabilitating the addicted. In the same line, I will seek greater restriction on the importation and prescription of opioid painkillers in our State, and give Prosecutors and Law Enforcement the tools they need to go after Prescribers that are nothing more than "Pillpushers" themselves. The Crime Problem in Southern West Virginia is largely driven by drugs. Most property crime is committed to fund a drug habit. If we are to address the Crime problem, we must address the drug problem at the same time. With this in mind, we must also make the penalties for habitual offenders more strict. Most, if not all, political candidates claim to be tough on crime. Not only am I tough on crime, I am the only candidate in this race that has actually put someone in prison for committing crime. I have seen to the conviction of countless repeat criminals in Raleigh County, and I know what it takes to get the job done. Most of the Crime committed in our State is committed by the same, repeat offenders. While we do have laws on the books to enhance penalties for repeat offenders, those laws have not been addressed by the legislature in a very long time. Since that time, the Court system has added a litany of requirements to convict a person as a habitual offender that simply were not contemplated when the law was created. It will be my goal to clean up the process for convicting habitual offenders, streamlining the process, to give Prosecutors the tools they need to remove the very worst criminals from our streets and communities. I firmly believe that it takes an entire Community to eliminate pervasive Crime. I have been an ardent supporter of the Raleigh County Neighborhood Watch Association, the local neighborhood watches, and other community crime watch organizations. As a Prosecutor, I felt it was important to have a partnership with the public in tackling the crime problems in their communities. The dialogue between law enforcement and the community should not be limited to 911 calls. If we are to succeed, we must engage each other. I will introduce legislation to support neighborhood watches, crime watch organizations, and victim advocacy. Job creation will not happen in our Community if we do not take care of Crime and Drugs. However, I feel slightly different about the Government's role in job creation. I personally believe that government does not create jobs. Local Businesses and Industries create jobs. The only role government should have in that is protecting life and property, and providing the infrastructure necessary to foster the development and growth we so desperately need. What West Virginia needs is for the government to step out of the way with countless restrictions, licenses, fees, taxes, permits, and bureaus. It will be my goal to reduce the size of the government bureaucracy in Charleston, the out of control spending, and eliminate oppressive taxes that discourage businesses from opening or moving to our State. I firmly believe if we take care of the Drug Problem, Crime Problem, and eliminate business killing taxes, by the Grace of God we will see our State flourish."